Salsa Shark: I think the balance of difficulty of puzzles has been a bit off in the last two prof Layton games; I found many of the ones in Diabolical Box quite challenging (and even somewhat repetitive, ie lots of slidey puzzles), but there weren’t too many puzzles in Unwound Future that I needed to shell out my hint coins for. I gave this 10 points because even despite the puzzles being less challenging than I may have liked and parts of the story seeming a bit familiar, I’m still a fan of the way the series never makes anyone purely evil, the cinematic cut scenes, and the minigames included in the main story (that ridiculous parrot minigame more than made up for many of the puzzles being on the easy side). I can always count on a Layton game to deliver 15-20h of good entertainment and my weekly wi-fi puzzle is an added bonus. Craig G: This one might be getting a vote to make up the numbers as, although I enjoyed it, the series seems pretty tired now. It feels like I’m playing the same game with slightly different puzzles, only the puzzles, new as they are, are oddly familiar and therefore easy. 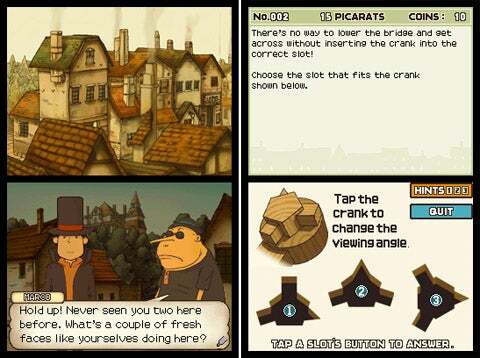 Nhex: Layton is a top quality DS title: great production, lots and lots and lots of puzzles of varying quality, lovely art design and characters – just a really pleasant time and the best game I had the chance to play in this great year for the DS. 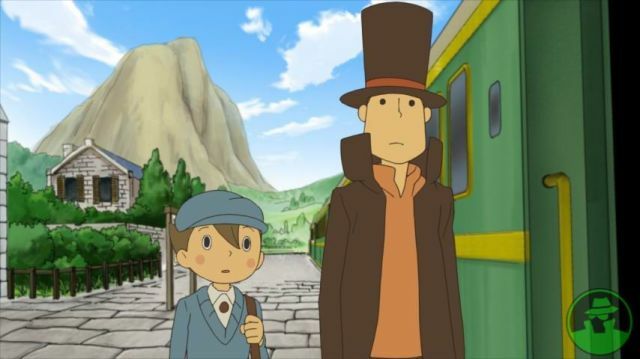 CraigG: This one’s a bit of an anomaly: it’s just a bunch of crappy logic puzzles but the animation sequences and storyline tied it together surprisingly well. JimD: I’ve been playing this for the last week or so, I guess I’m about two thirds of the way through now and it’s completely adorable! Cute story, lovely atmosphere, fun puzzles at just the right level of difficulty and a very broad range of appeal: I can totally imagine Nintendo’s target DS audience of fifty-somethings digging it and yet I keep thinking about how perfect it would’ve been for me when I was a precocious 9 year old too. I totally recommend it. Abbott: I solved half these puzzles from ‘2347 Classic Riddles’ type books as a child but I forgot most of them, so… The moving blocks around puzzles are so satisfying. 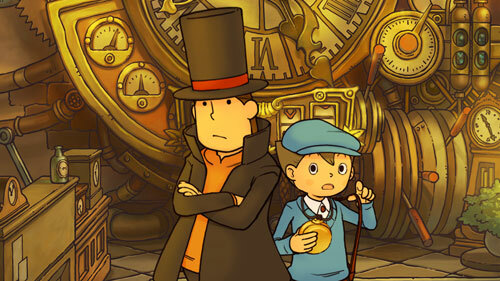 I kind of have a crush on Layton. 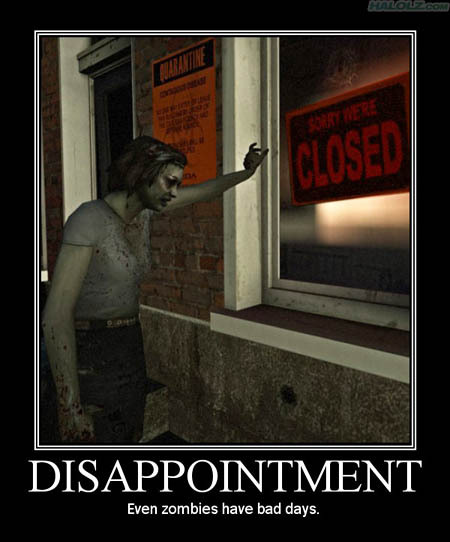 ZS: I like this game a lot, but why is the first “hint” you get always so useless? Forksclovetofu: I know they added the Dragon Quest alchemy subgame and the hamster hunt and all that wacky stuff and the animation and music are just as sweet as they were in ’08, but for some reason this felt like more of the same. I need a button that says “OKAY, I GET THE PLOT TWIST, CAN WE MOVE ON TO THE NEXT BIT OF STORY PLEASE?” I have every intention of returning to finish this sucker but it might be quite a while.